Sick of your pine tree or palm tree? Arrange with Sydney Tree Removals to come out to the Avalon so we can calculate your pine tree removal cost, or palm tree removal cost. We provide free tree removal quotes for those who have council tree removal permit approval or council tree pruning permit approval. 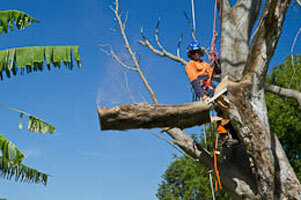 For your tree services throughout the Avalon contact Sydney Tree Removals to have your trees removed safely! 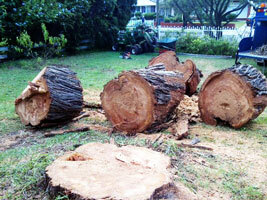 Tree stumps can be difficult to remove and that is why we offer a tree stump grinding service for the Avalon of Sydney. If there are electrical, water, gas, or other services running near your tree stump using a stump grinder may not be the most suitable option. We also remove stumps manually, or through a chemical treatment. 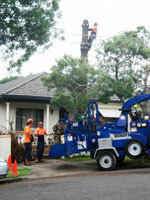 Sometimes clients in Avalon refer to our tree arborists as "tree doctors" or "tree surgeons". This recognition of skill is greatly appreciated by our arborists, because they love making hard work in the Avalon area look easy. Safety is one of our greatest concerns. We conduct ourselves as professionals in Avalon, and as such we prepare the appropriate safe work method statements and conduct hazard assessments prior to commencing work. This keeps us, and your property safe.